The Cape Town Central City Improvement District (CCID) has published the six winning proposals put forward for what to do with the city’s infamous unfinished Foreshore Freeway. 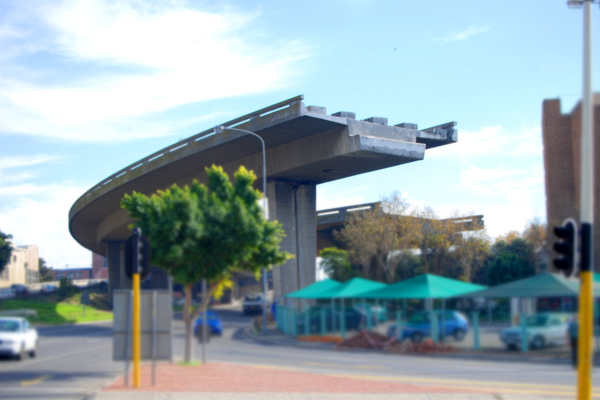 The proposals form part of an initiative by the City of Cape Town to find an innovative way to deal with the unfinished section of the bridge. While subject to many different urban legends – including that an engineer had made a miscalculation, leading to the bridge not meeting safety standards – construction on the section of the freeway was stopped due to financial constraints. In June 2016, Cape Town mayor Patricia de Lille said that she wanted it to be part of her legacy in the city to see the bridge finished or altered (otherwise “dealt with”), and put out the call for bids from the private sector to share what they would do with the bridge and the Foreshore District. As part of the conditions for the development proposals they had to include plans to alleviate congestion and provide affordable, inclusive housing in the city centre. 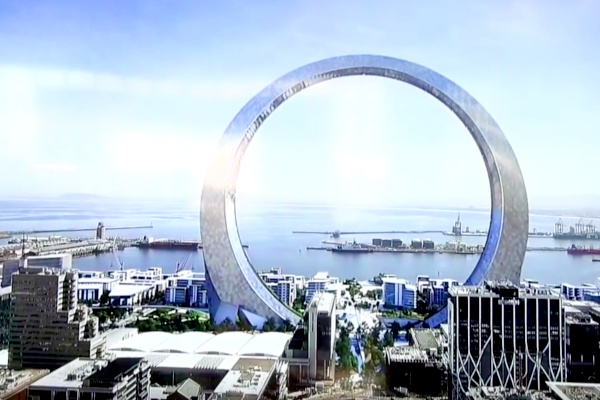 None of the proposals actually include completing the freeway, but rather focus on reconnecting the city with the foreshore – while introducing some iconic buildings, including a massive standing ring building (pictured) which would change the landscape of the city entirely.